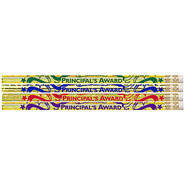 Award stickers from Principal. Gold foil on a brushed gold background. Pack of 72. Diameter 29mm.